10950 Verdugo Road, Ortega Mountain, CA 92562 (#300741366) :: Ascent Real Estate, Inc. If your heart aches for the country, but you work in town, this is the home for you. If you're a car buff or have an RV, but are stuck with a small garage, this is the home for you. If you want horses & miles of trail riding, this is the home for you. 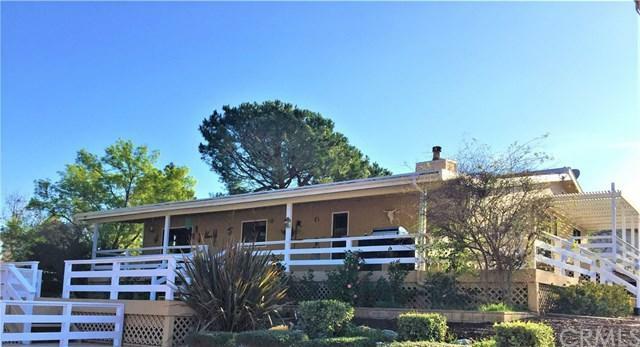 This comfortable 3 bd 2 ba ranch home is nestled on 2.9 acres in the pastoral Rancho Carrillo community which is surrounded by over 39,000 acres of forested wilderness land. An expansive interlocking paver driveway enters the courtyard where to the right is If your heart aches for the country, but you work in town, this is the home for you. If you're a car buff or have an RV, but are stuck with a small garage, this is the home for you. 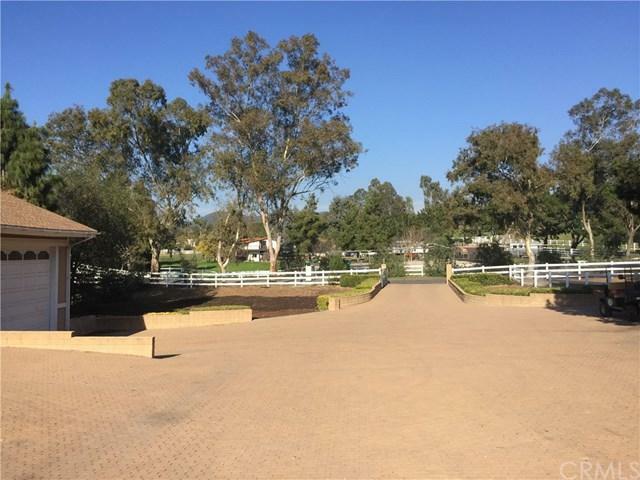 If you want horses & miles of trail riding, this is the home for you. 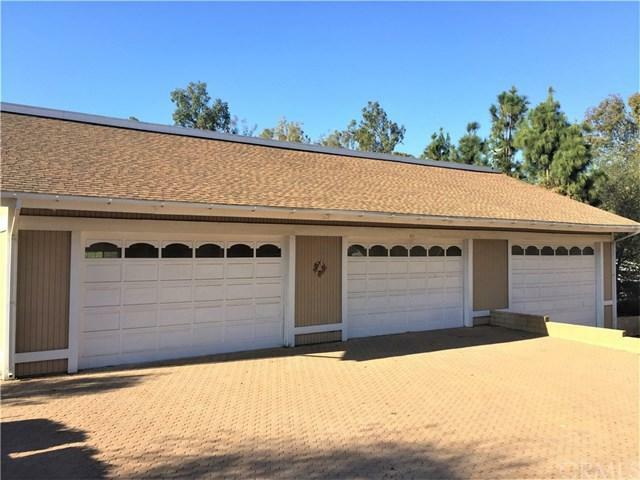 This comfortable 3 bd 2 ba ranch home is nestled on 2.9 acres in the pastoral Rancho Carrillo community which is surrounded by over 39,000 acres of forested wilderness land. An expansive interlocking paver driveway enters the courtyard where to the right is the tandem 6 car 2800 sq ft garage, RV side of garage is 24 ft wide, 39 ft deep x 12 ft high & a workshop. 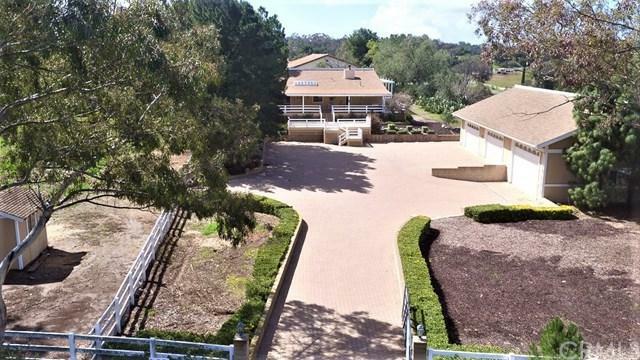 Ahead is the ranch style home, flanked on the left and the right by two fenced pastures. A hay barn with roof shelter and a chicken coop complete the outbuildings. The master bedroom and secondary deck feature a lovely city lights view at night. Swim in the community pool, ride in the large groomed arena, or enjoy the recreation center building which also houses the volunteer fire department. Or hike or ride for miles in the oak-laced wilderness trails. Come see this wonderful property located within minutes of Dana Point Harbor & Orange County beaches, and a wealth of dining shopping. Listing provided courtesy of Rancho Carrillo Realty. Listing information © 2019 San Diego MLS, Inc.